It’s all well and good for us because we know what’s happening, but to our pets, moving to an unfamiliar space can be very stressful and upsetting. When moving home with your beloved pet – whether that’s a dog, cat or something exotic – it’s important to ease them into their new environment. The first thing you can do when your pet enters their new home is to help them familiarise with their new surroundings. It’s also important to take them out to the toilet and set up their water/food bowl. For more tips and tricks that will keep your pet happy and healthy in your new pad, read on for a seamless, onward journey. It’s good general practice to take your pet to the vets on a regular basis anyway – but taking your pet before your move can ensure that they are up-to-date with vaccines. If your pet takes medication, be sure to stock up before your travels because you don’t want to be caught short with not enough on the moving day or whilst you’re still settling in. It’s also a good idea to ask your vet if there’s a new vet they recommend in your new area and have them transfer your pet’s details over once you have registered. Remember: pets can feel travel sick too, not just you and the kids! 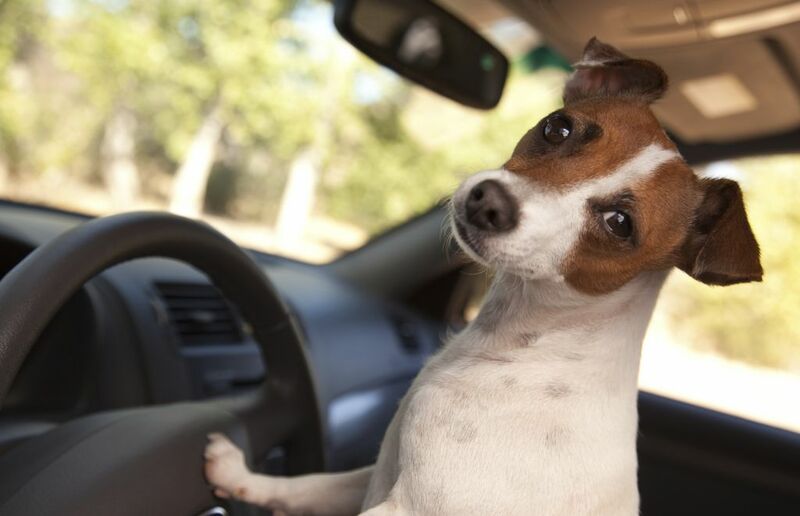 Ask your vet to see if there’s anything you can do to keep your pet happy and healthy whilst in the car. Moving home requires a lot of time and effort and if you have children, you must keep them amused and out of harm’s way whilst shifting heavy objects and countless boxes. If you have pets too, it can become a bit of a mad house when trying to move. If you’re concerned about your pet’s safety or welfare, consider checking them into a kennel, cattery or taking them over to their favourite sitter. Sometimes it’s kinder to move everything and then introduce them to their new home once you have unpacked and sorted out their things. Remember to update your details, so that your new address is known – also see to it that your policy covers what you require. Fill a box full of your pet’s things, so they’re ready to hand when you move. Keep them in the car with you so that you can quickly tend to your cat or dog. Make sure your box has pet food, water, bowls, blankets, toys, towels, poo bags and wipes, and all important medication. This will help to keep everything in one place and your furry friend happy. Pets will sense that something is happening, so keep your dog or cat amongst familiar toys and blankets – do not wash them because the familiar smells will keep them calm. It’s been a long journey for all of the family but make sure your pet has fresh food and water to enjoy once you arrive. Show them their new dining area and they will be sure to enjoy their delicious meal once their nerves have subsided. Check your boundaries before you let your dog outside, chances are your back garden is fine but don’t take any risks. If there are any gaps in the fencing, you will need to watch them when you take them out to the toilet – you don’t want any escape acts. As for cats, it’s much harder to monitor them. Keep them indoors for a couple of weeks and take them out on a lead around the garden to begin with. This will help them to familiarise themselves with their surroundings and realise that this is now their new home. If you have exotic pets such as tarantulas, lizards, tropical fish, parrots etc – speak to a professional for assistance, they will be able to explain how to best move these sorts of pets to ensure they’re not affected by your move. Don’t forget your ultimate list of top tips when moving address with your pet. Always remember to have them checked by the vet, considering kennels, cattery or a pet sitter, update your pet insurance, organise a pet travel pack, choose their comfort toy, provide them with food and water upon arrival and pet proof their new garden to keep them safe. Remember, change takes time to adjust. At Simon Long Removals, we take pride in the services we have to offer and the attention to detail we provide with each and every move. Let our professional team take the stress out of your moving day, so you can get on with what’s really important. For a free no obligation quote followed by a first-class service, call our friendly team today or contact us online. We offer our services throughout Thetford, Cambridge, Norwich, Kings Lynn and the surrounding areas.